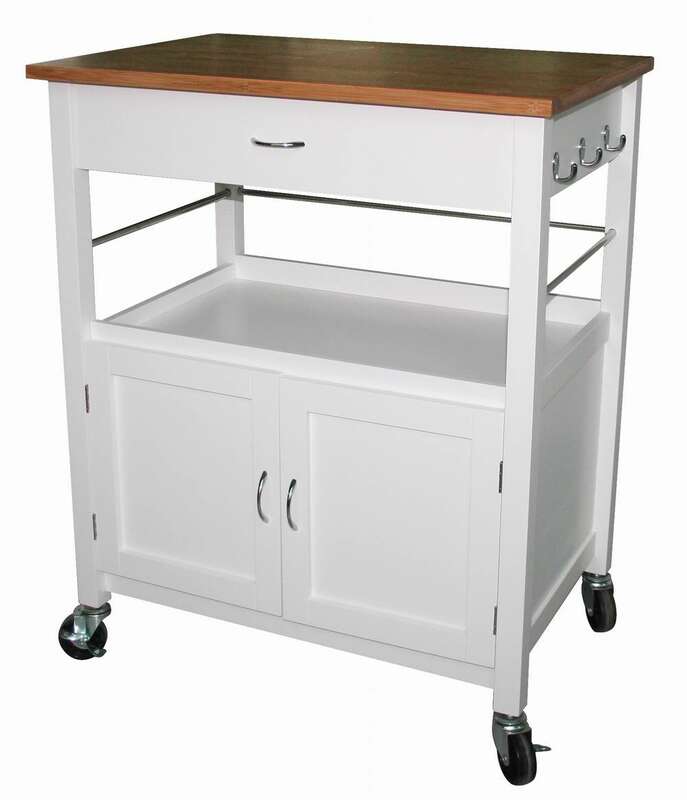 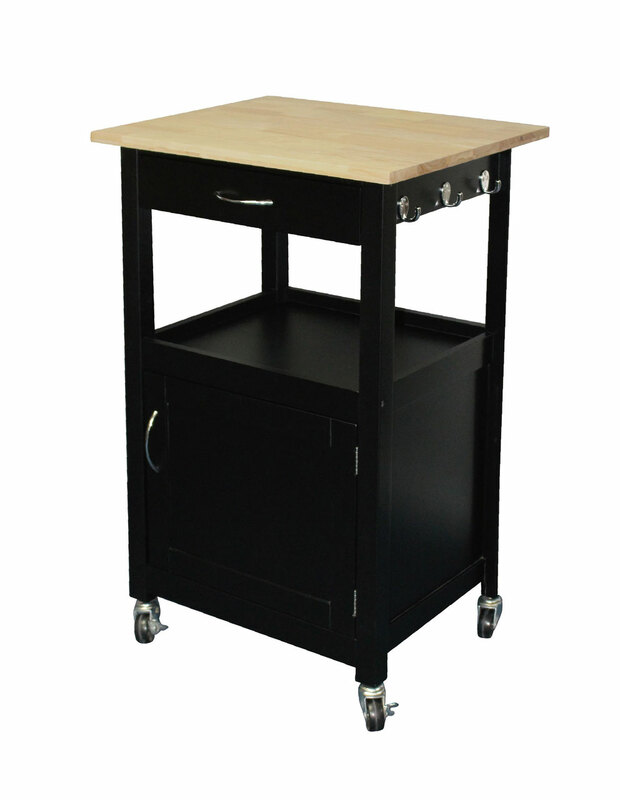 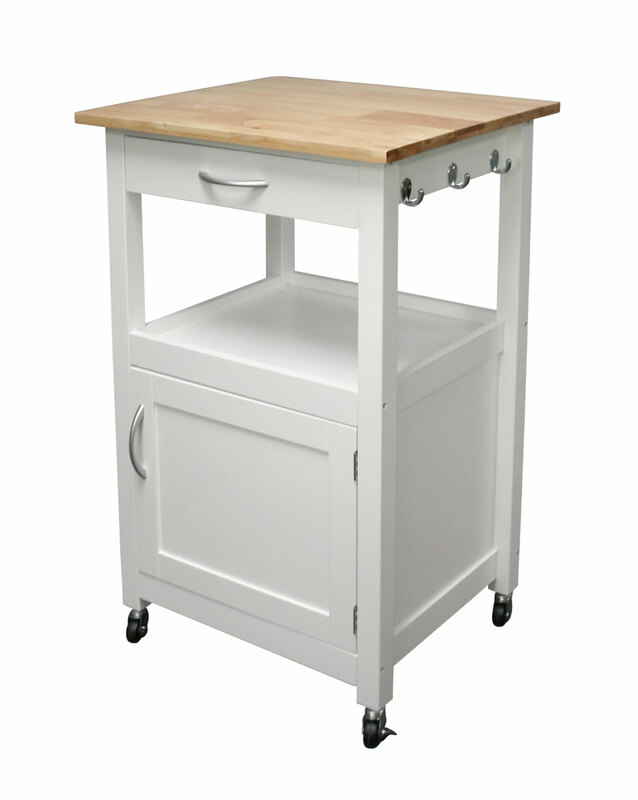 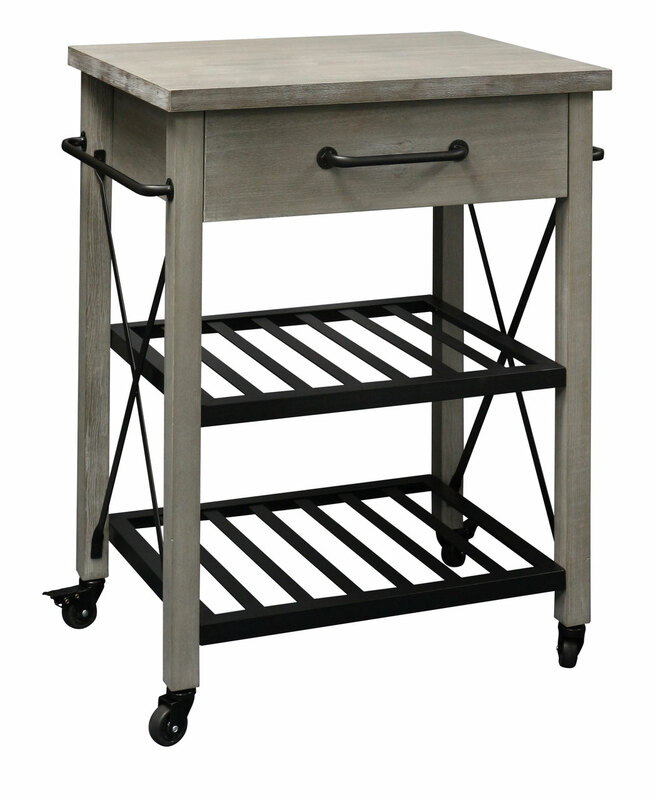 Natural Bamboo Top,top size:28-3/4" x 19-3/4" x 3/4"
Overall size: 21.75x 17 3/4 x 35, interior cabinet size: 16"Wx13-3/4"D x 13"
Rustic inspired kitchen cart will add a charming touch to any kitchen or dining room. 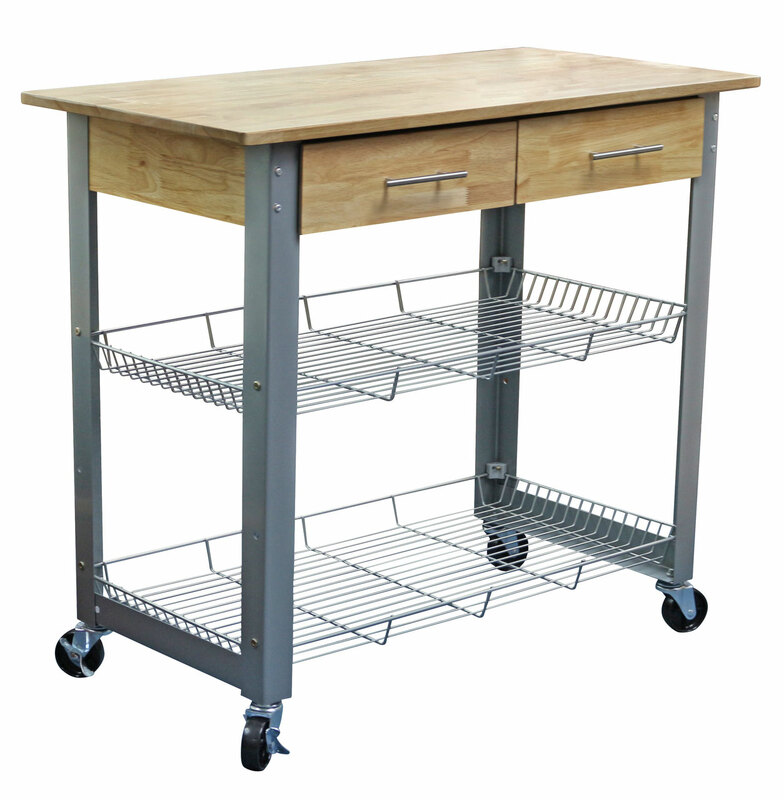 2 wire storage racks can also be used as wine racks(the space width between 2 metal plate is 1-3/4"), a towel rack on each side. 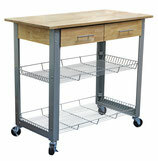 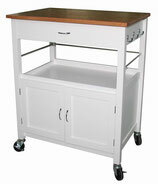 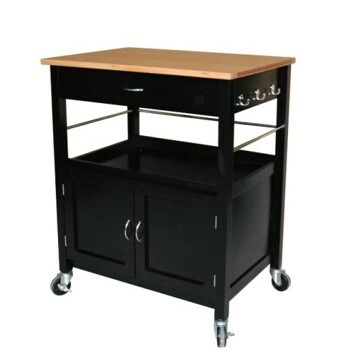 Easy and safe to move with 4 locking casters. 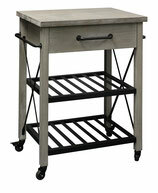 Table top is made of a solid, eco-friendly pine that is easy to clean,the top siz:25-1/4"W x 18-1/2"D. Assembly required.